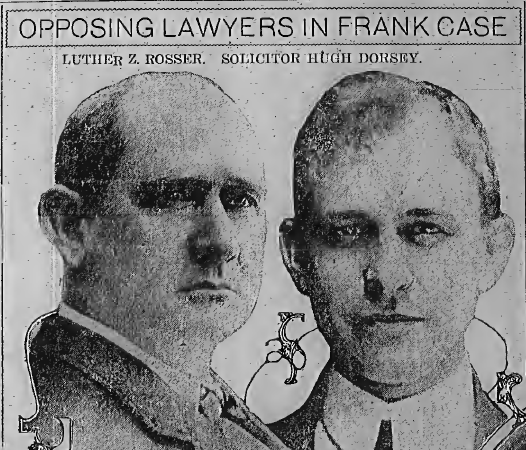 THE JEWISH ANTI-DEFAMATION LEAGUE (ADL) — in great contrast to the American Mercury and other independent media — has given hardly any publicity to the 100th anniversary of the murder of Mary Phagan and the arrest and trial of Leo Frank, despite the fact that these events eventually led to the foundation of the ADL. 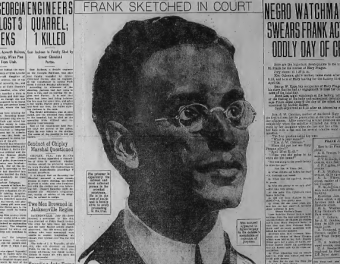 Probably the League is saving its PR blitz for 1915, not only because that is centenary of Leo Frank’s death by lynching (an event possibly of much greater interest to the League’s wealthy donors than the death of Mary Phagan, a mere Gentile factory girl), but also because encouraging the public to read about Frank’s trial might not be good for the ADL — it might well lead to doubts about the received narrative, which posits an obviously innocent Frank persecuted by anti-Semitic Southerners looking for a Jewish scapegoat. 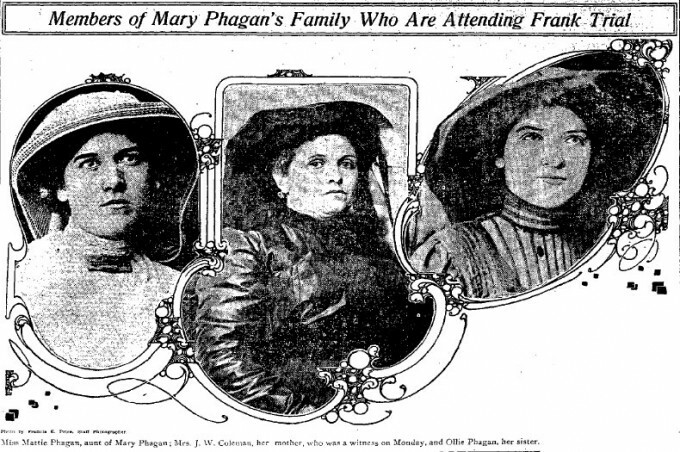 Mary Phagan’s aunt, mother and sister.